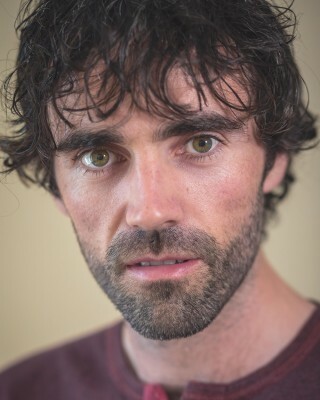 Seán was most recently cast as Séamus in Irish language feature ARRACHT directed by Tom Sullivan for TG4. Recent film and television credits include the role of Prudentius in acclaimed adventure series VIKINGS created by Michael Hirst for World 2000/Take 5, screened worldwide on History, MAZE directed by Stephen Burke for Mammoth Films, 3-part political drama CHARLIE directed by Kenny Glenaan for Touchpaper TV, PURSUIT directed by Paul Mercier and the role of Tom Morgan in ÉIRÍ AMACH AMÚ with Tile Films. Seán played leading role Pádraig Connolly in Series 1 & 2 in award-winning bi-lingual period drama AN KLONDIKE directed by Daithi Keane for Abú Media. Irish language television appearances include RÁSAÍ NA GAILLIMHE and NA CLOIGNE both directed by Robert Quinn, the role of Seán Mac Diarmada TG4 mini-series 1916: SEACHTAR NA CASCA and 1916: SEACHTAR DEARMADTA with Abú Media, ROS NA RÚN, AIFRIC, ADHARCA FADA and CRÉ NA CILLE for TG4. Film credits include Daithi Carrol in romantic comedy THE CALLBACK QUEEN written and directed by Graham Cantwell, KINGS with Colm Meaney for Newgrange Pictures and JIMMY’S HALL directed by Ken Loach for Sixteen Films. Seán also appeared in documentary-drama BÁS NÓ SAOIRSE written and directed by Keith Farrell for Tile Films. Short films include LOVE IS A STING (RTÉ/Filmbase) and VALENTINES DEAD (Blinder Films). Recent theatre credits include a nationwide tour of TÓRAÍACHT presented by Fíbín, adapted and directed by Mikel Murfi and Moonfish Theatre’s critically-acclaimed sell-out success STAR OF THE SEA by Joseph O’Connor. Further recent theatre credits include TRIGGER MARTIN directed by Veronica Coburn and the title role in DRADIN, IN LOVE with Tribe Theatre. Previous stage appearances include SÉTANTA directed by Paul Mercier, THE GLASS MENAGERIE, MEASURE FOR MEASURE, WAITING FOR GODOT and BLOOD WEDDING all directed by Max Hafler, A MIDSUMMER NIGHT’S DREAM at Blenheim Palace, Oxfordshire, PHILADELPHIA HERE I COME directed by Andrew Flynn (Galway International Arts Festival), TINE CHNÁMH (An Taibhdhearc), PLASTICINE (Southwark Playhouse), AN TSEANBHRÓG (Project Arts Centre), THE FROG PRINCE (Black Box, Galway) and AN CEARRBHACH MAC CÁBA directed by Darach Mac Con Iomaire with Fíbín. Writing / directing work includes two short films for TG4 – EOINÍN, and AN CHÚIRT as well as a 1-hour documentary, BREITH AGUS BÁS, about his family’s connection to events in the Irish Civil War.